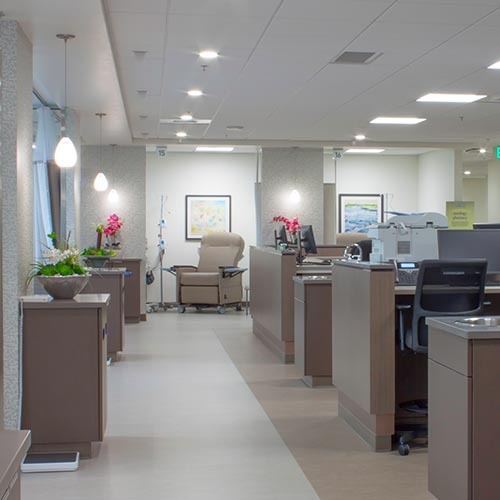 Auburn Mechanical was the full-mechanical and design-build contractor on the Overlake Hospital Medical Center Cancer Wellness Center project. Auburn completed 70,000 SF of construction within the main campus, south tower, and medical pavilion. All work was separated into four major phases with multiple sub-phases for each area to maintain a constant flow in critical and sensitive areas within a fully-operational hospital.